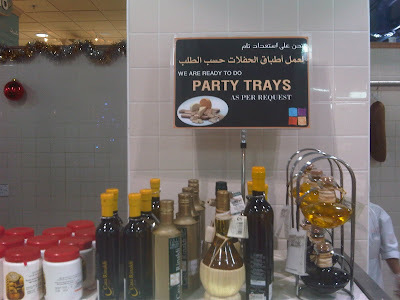 Q8-DEWANIYA: Sultan Center Party Trays. Went to Sultan center and saw this poster, I didn't ask them for what is that but my guesses are for cheese party trays because it was above the cheese section ! im gonna aske them next time! i don't remember why i didn't last time but im sure there was a good reason! OMG! shda3wa! Ok I do agree it is a great place, you can find everything you want there! Bss there are much more places to go specially when you are not from kuwait!